Terri is passionate about life-giving worship, preaching and engaging our neighbors and the surrounding community in new and transformational ways. 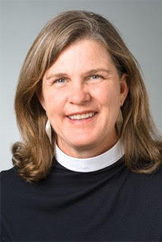 She is involved with Woodland Ecumenical Multi-faith Ministries and serves as a member of the CREDO faculty and a trustee on the boards of the Church Divinity School of the Pacific and the Diocese of Northern California. She has a Masters of Divinity from the Church Divinity School of the Pacific in Berkeley, and a Bachelor degree from Baylor University in Business Administration and Accounting. Although her professional background is primarily in accounting and corporate finance, Terri also served as the director of a private Waldorf school for seven years. In her free time, she loves to garden, forage for mushrooms, cook, and share meals with others. Ryan Johnson knew at young age she would work in ministry. 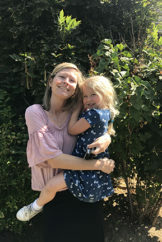 She studied Comparative Religion and Women’s Studies at the University of Vermont began her journey in youth ministry with the junior high and high school kids at the Unitarian Universalist Church of Santa Rosa. Ryan veered into natural medicine for a time searching for a solution to better her own health. She Studied herbalism, nutrition, yoga, body work and energy healing and has worked in private practice as a spiritual healer and counselor for the past nine years. 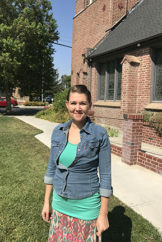 She returned to youth ministry a year and a half ago to build a youth program for the pre-teens and teens of the Yolo Youth Collective made up of youth from St. Luke’s Episcopal Church, Woodland United Methodist, Woodland Presbyterian, and the Woodland United Church of Christ. She currently lives in Sacramento with her husband and four year old daughter and is thoroughly enjoying being a part of the nearby Woodland community. 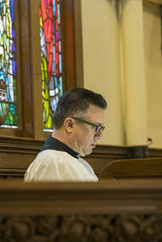 Dean Mora has been playing organ and piano for various denominations since 1989, including services for Presbyterian, Lutheran, Catholic, and Episcopal churches. Dean is a recent transplant to the Sacramento area, having moved here from Los Angeles in 2014. He received his Bachelor of Music degree from California State University, Northridge. In addition to his duties here at St. Luke’s, Dean is also the choral accompanist for the River City Chorale and the Yuba-Sutter Master Chorale, and has also worked with the Opera Department at CSU Sacramento. In addition to church organ, Dean also plays theatre organ, most notably in accompanying silent movies since 1991, and as a staff organist at Disney’s El Capitan Theatre in Hollywood.